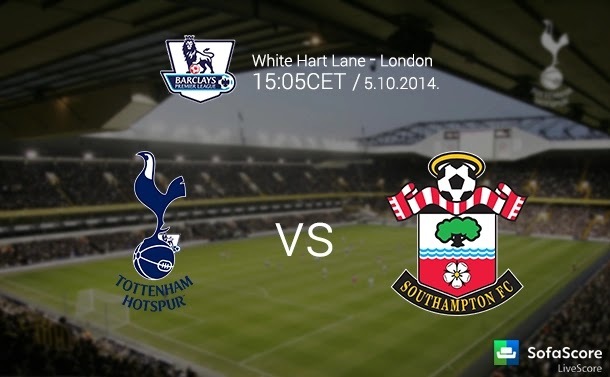 Southampton hosts Tottenham Hotspur,in Premier League at Saint Mary's Stadium on Sunday . Southampton hoping to pick up three points at home to distance themselves from the relegation zone,while Tottenham Hotspur look to win their second game against them in less than a month. Venue :at St. Mary's Stadium. The last time the both played was on Boxing Day, and Spurs rolled to a 5-2 thumping of the Saints at Wembley Stadium. Southampton play tonight's match as they are stuck in the relegation zone and are without a Premier League victory in 10 games. No Comment to " Southampton vs Tottenham Hotspur, Premier League "